With the smooth, linear flow lines and long runout transitions in our forged upsets, you'll see the benefits of our painstaking approach to manufacturing, resulting in a superior product. 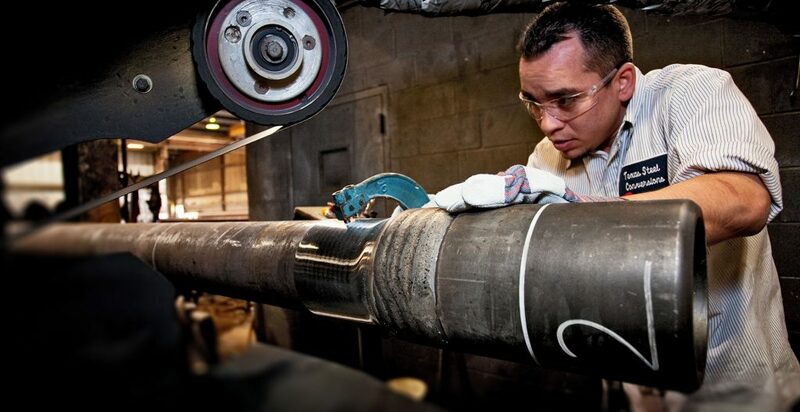 The extra steps we put into our pipe production translates into one result: drill pipe with superior fatigue resistance and extended wear-life. 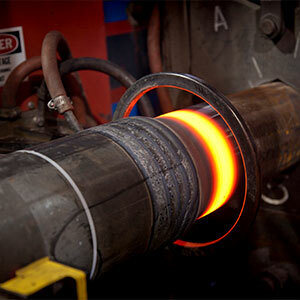 Texas Steel Conversion is an API licensed 5DP and 7-1 manufacturer. The extra steps we put into our pipe translate to extra service life for you. 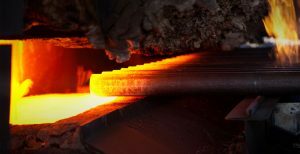 Our conservative multiple-heat/multiple-blow forging process is carefully controlled, keeping stress risers in the upset almost non-existent and assuring incomparable geometric consistency in every pipe. Our tool joints are manufactured and heat treated to exceed API requirements. Threading is done in accordance with API Specification 5DP. Hardbanding can be applied to your specifications. 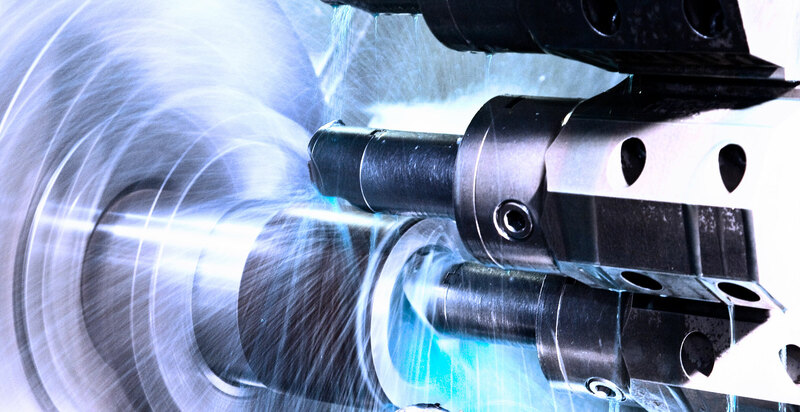 Tool joints are inertia welded to the tubes with computer-monitored precision. Concentricity is carefully monitored and controlled, and the parameters of each weld are electronically recorded, and traceable to each joint. After removal of weld flash, the weld area is austenitized, quenched, and tempered to achieve the required mechanical properties. 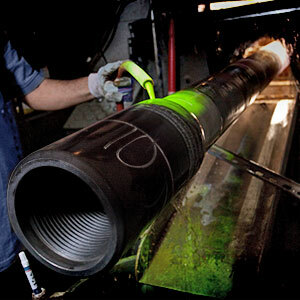 Heat treat cycles for each weld are compared to specific parameters and recorded for traceability. 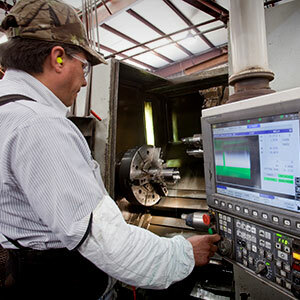 After all steps and machine marks are polished from the OD and ID area, hardness testing, ultrasonic testing, and wet magnetic particle inspections  are used to verify the integrity of each weld zone.  By the time TSC Drill Pipe reaches you, it has gone through multiple Quality Control processes. Texas Steel Conversion's Quality System is certified under ISO9001:2008, API-Q1 8th Edition, and ISO/TS 29001:2007. 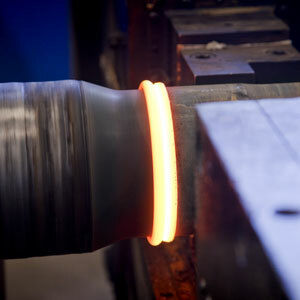 Example of our quality upset forgings. 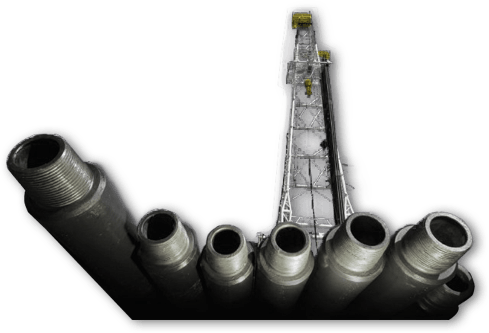 This is an extended smooth internal runout (Miu) that minimizes stress concentration and fatigue in the upset area of the drill pipe.